Clearly, the County Hotel was once quite glorious, as some of the original décor is amazing to look at, but it has faded to a pretty shabby state. The city location, right near the railway station, was great for us, and I were lured in by the ultra cheap price, which I was told (on booking online) included breakfast! On arrival though, and after checking the small print of the booking confirmation, it transpired we'd have to pay an extra £12 for breakfast. 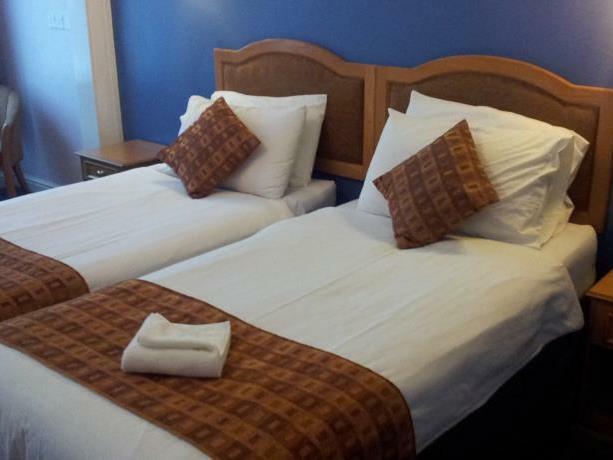 The booking confirmation did specify the twin room I'd asked for, but my son and I were allocated a room with a double bed. The receptionist did manage to find us a room with twin beds, but I think it was a last resort: the woodchip furniture in our room was damaged and broken; one of the lamps didnt work; the wooden bath panel was coming away from the bath; there were holes through the bathroom lino, and black mould around the bath. Basic but clean, did the job. Staff were friendly and welcoming but the room and bathroom in particular were not very clean, don't think they know what a corner is and the glass shelf in the bathroom was so dirty I could write on it. Wouldnt recommendations eating here, burgers overcooked. The good points about the hotel were its proximity to the station and its cleanliness, although it is desperately in need of refurbishment. However, it was let down by the attitude of the reception staff who were extremely unwelcoming and rather unhelpful. The atmosphere in the lounge was uninspiring and positively dull. Breakfast was just adequate at best, but there was only one server, who was under severe pressure to satisfy everyone’s needs, especially as diners had to ask for items not set out eg decaf coffee. There was no heating in my room, while the floors were sloping and uneven. There is a distinct need for improvement all round. The hotel is a little bit tired, but a refurb is imminent. Very good town centre parking included and minutes from the attractions. The home comforts menu looked good. I had the worst room in the hotel.Noise from the pub staff in courtyard at 3.30 am.Not good. Very cheap.Functional. Good position near Courts and Station. In road with pubs colourful, homeless people.Last twice stayed incidents, one of domestic fighting then police with underage homeless person ,three police cars. Botchergate. Near castle. Police vigorous on homeless.I saw one man “ not arrested “ as yge policeman described it as he put handcuffs on a man. Not arrested but detained as the pc said for being ‘agitated” offence unknown to this country. Faded rather soulless hotel. Interesting . Hotel is basic, clean but in need of updating. The noise at night from the night club next-door was unacceptable. There is a warning for light sleepers in reception but should be clearer on the booking page. It does have its parking around the back which is free. Like a pair of comfortable slippers. Some areas could do with attention, but all area clean and tidy. Helpful staff, especially on the Reception area. Very good value for money. 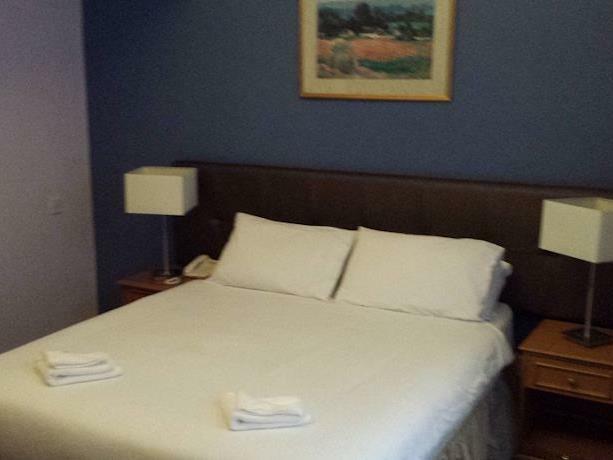 Excellent location for the traveller, as the Hotel is only across the road from the Railway Station. 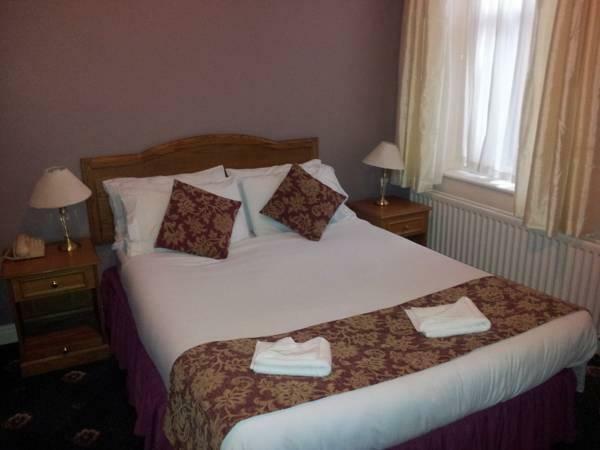 Your are in the centre of this Border town, with shops, eateries for all tastes, Carlisle Cathedral , and Tullie House Museum, but a short walk away. friendly welcoming staff, well situated for the centre of Carlisle, fantastic breakfast, hot, plentiful, and a large selection, staff were fantastic even though they were also serving a very large party of visiting German tourists. The location was great for a night out and the staff were really helpful and nice. Dirty bath mat, brown mark on the back of it. Shower leaking and almost falling off the wall. Toilet roll holder placed so you can not sit on the toilet. An over all feeling that changes have been made over the years with out much money being spent. Glad I only paid a small amount. If I had paid the weekend rate I would have been asking for my money back. Staff were good and the breakfast was great but the room very off putting.